Your ability to follow and teach the material as a parent and teacher is critical as well. The ideal program will teach your child everything they need to learn for their grade level and some of the stuff they want to learn while matching the personalities you and your child bring to the plate. It is important to remember that you can change curriculums over the years if one isn’t working for you and your child. Some parents find that one series is better for their students in grade school but want something with more depth or a different structure. This is a very common thing to do over the course of a child’s education. That sounds like a tall order, but do not feel discouraged. There are some excellent choices out there, and the following list will introduce you to some of the best options. One of my favorite homeschool English curriculum is Grammar Galaxy. I created an extensive review here. They continue to release new programs for different age levels. Our family found it fun and interesting while adding to our knowledge of English and love of learning. The Alpha Omega Life Pac program is completely based on Biblical texts. For each school year from kindergarten to grade 12, your child will work toward mastering ten texts. Each text should take approximately three weeks to complete, but children are encouraged to progress at their own pace. The goal is to move your child to a new text once they have completely mastered the skills meant to be taught through the current text. This program requires workbooks which cannot be reused for multiple children. You can make copies of pages if you want to save expenses by allowing multiple children to use one book. This is perfect for Christian homeschool families who do not need a computerized element in their instruction. This aspect makes it popular for families that are living in more rural locations since it is not technology based. 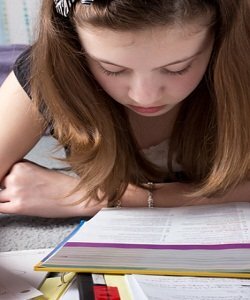 Alpha Omega continues to offer its Bible-based homeschool English curriculum with an emphasis on the creationist viewpoint with this program, but everything is based on computer learning. Extensive lessons are presented through computer software, so children are given interactive, fun lessons followed by a series of exercises for comprehension. Testing is completed through the computer program, so parents do not have to spend time grading or planning lessons. If you are a parent that doesn’t think they have time to homeschool, this curriculum might just change your mind. If you have several kids you can easily reuse the software to save money or resell it when you are through to another homeschooling family. Sometimes members of homeschooling groups swap materials among many families to make homeschooling more economical. This program teaches your child everything they need to learn about literature, writing, grammar, spelling, and language development. The program allows children to learn and apply their knowledge through active lessons that include real literary passages and writing assignments. Your child will not be presented endless worksheets that require basic filling in of blanks. Grammar, writing, and speaking skills are taught together through this fully developed program. Children learn to appreciate and understand literature while becoming comfortable with their own writing skills and improving their speech. 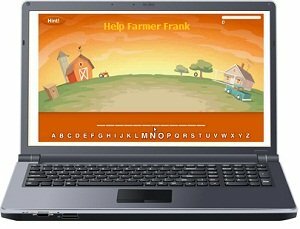 The program incorporates workbooks and written lessons as well as some computerized lessons. 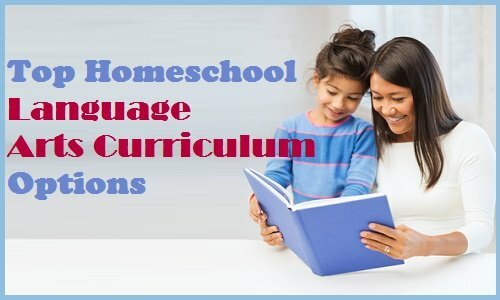 Some lessons are quite outdated, but other than that this is a solid homeschool English curriculum that will help your child understand and apply what they learn rather easily. These two programs are typically used together, though you can use them individually if you like. Easy Grammar is the full language arts curriculum, and Daily Grams is a series of review lessons designed for completion on a daily basis. The Easy Grammar curriculum is thorough for all students trying to learn basic grammar lessons, but it will not teach your child all of the extended language arts material that comes with some other programs. 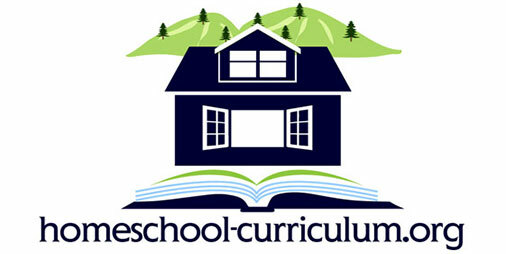 Timberdoodle offers a full range of homeschool English curriculums. You can purchase individual class components such as language arts and grammar. Timberdoodle offers lessons for primary through high school grades. They have been an integral part of the homeschooling community for more than 30 years so they have reputation as a well trusted brand. Timberdoodle language arts programs can be customized to meet your child’s unique needs. Grammar can be taught alongside the spelling or writing modules or you may choose to concentrate on one area at a time. 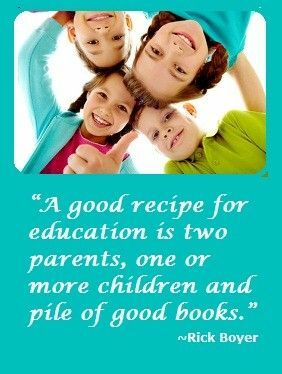 For example if you child is having a hard time with a certain subject you can move on to something else and come back to it when they are less frustrated and ready for a second chance at the problem. Timberdoodle also distributes the popular Alpha Omega Switched On Schoolhouse series of interactive curriculum. Many people combine Timberdoodles other language arts course with Switched On Schoolhouse for a customized approach to language arts education. For more info on Timberdoodle…. This is a great yet inexpensive program for those that want a Christian based curriculum. They offer outstanding support. Each curriculum has an instructors guide available to go with it so you are never at a loss when it comes to teaching your children. Sonlight was founded by a Christian family when they realized that they could not afford the expense of a private Christian education for all of their children. They offer paper catalogs for those that prefer it and they have online placement tests to help homeschool parents determine what level of curriculum is right for each individual child. Sonlight tries to encourage their customers to recommend them by offering a rewards program that helps make homeschool education a lot more affordable. For more info on what Sonlight has to offer…. This company doesn’t just offer writing skills curriculum, they also offer reading and communication curriculum to go alongside it. This is a great course for building strong language skills and preparing children with the skills they need to communicate effectively throughout their entire life. Instead of standard grade levels, the programs have units that are recommended for a certain age group. If a child excels and finishes a unit more quickly, there is no reason for them to not go on to the next unit. For children and adolescents that love to create their own stories and have a flair for the written word, this is one of the best systems out there. Those that complete the courses are well prepared for college level writing assignments. Having a good command of the written word can take a child far. This system is very affordable and easy to add to if you have a child that likes even more of a challenge. For more info on Writing Strands…. Selecting the right language arts instructional material is critical to your child’s education. If you are torn between a couple options, find a way to give them a try. Get your hands on used materials or ask other homeschool parents to share their experiences of using those programs. Take the time to find the right curriculum for your child’s learning and your teaching style. If you have a child with special needs such as a diagnosed learning problem, it may take trying several different curriculum to find the right one for them. Don’t give up on homeschooling just because the first curriculum doesn’t work out as well as you would have hoped. Often children with special needs excel in a homeschool environment because they get the individual attention they need for success. One of the beautiful things about language arts and homeschooling is that you can add custom touches. There are a lot of great books out there. If you enjoyed a particular classic when you were growing up then you might incorporate this into your curriculum. Being in tune with how much your child is enjoying themselves is important. If they are bored then something has to change for learning to be effective. As a parent or grandparent you likely have a great insight into the interests and passions of the child you are teaching. Being able to offer an individualized approach to learning is invaluable to the educational development of any child. Sometimes students excel more at one are of language arts than others. It is important to realize that it is all connected. If a child prefers reading more than grammar then you might get them excited about grammar by explaining what it takes to write a great book like they are reading.